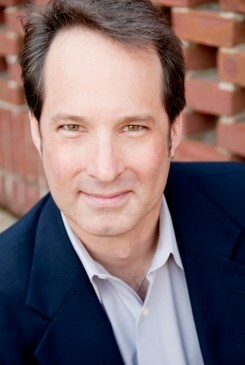 Paul Houghtaling, bass-baritone, is Associate Professor, Coordinator of Voice, and Director of Opera Theatre. He joined The University of Alabama faculty in the fall of 2007. Career highlights include European tours as Papageno in Die Zauberflöte with Teatro Lirico d’Europa (“…an extraordinary Papageno of comic sensitivity, naivete and tenderness, served by a superb voice and a remarkable physical agility.” Salon de Provence); a debut with the Bard Music Festival and the American Symphony Orchestra in Haydn’s L’Infedeltá Delusa (“…revealed a striking and flexible baritone.” Opera News); Peter Maxwell Davies’ Eight Songs for a Mad King with ALEA III in Boston (“…singing forcefully, in eerie falsetto highs and chesty baritonal lows … the Davies sent you home stunned.” The Boston Globe); several works with the Cecilia Chorus of New York at Carnegie Hall under David Randolph; works of Bach with the Orchestra of St. Luke’s “Bach Cantatas in Context” Series, American Classical Orchestra, Amor Artis Baroque Orchestra, and others; Die Sprecher in the American original instrument premiere of Die Zauberflöte with Boston Baroque; United States tours with the Waverly Consort, including Kennedy Center appearances, and Early Music New York; “Opera Buffa: Comedy On Stage” on Lincoln Center’s “Meet the Artists” series; and his acclaimed Gilbert & Sullivan interpretations with the Anchorage, Cedar Rapids, Central City, Knoxville, Saratoga, Nashville, and Natchez Operas, among other opera companies and orchestras throughout the U.S.
Dr. Houghtaling is the 2015 recipient of the Morris Lehman Mayer Award at The University of Alabama. The award is an honor given to “one member of the teaching faculty who exemplifies the life of Morris L. Mayer: selfless and significant service and leadership for the U of A community, significant contributions to student life, and integrity.” He is also the 2015 recipient of the Druid Arts Award for Music Educator of the Year, an honor given by the the Arts and Humanities Council of Tuscaloosa, as well as the 2015 Outstanding Commitment to Teaching Award given by UA’s National Alumni Association. Dr. Houghtaling is a frequent presenter at national and regional conferences such as the College Music Society (CMS), National Opera Association (NOA), AMTA (Alabama Music Teachers Association, MTNA Affiliate) and the Classical Singer National Convention and College Expo and he is in demand as an adjudicator (state and regional NATSAA, MTNA, AFMC, Alabama Vocal Association, Distinguished Young Women [formerly America’s Junior Miss]) and master class clinician. He previously served on the faculty of Hunter College in New York (CUNY), and has given residencies, master classes, and/or recitals at many institutions including Louisiana State University; Mississippi State University; SUNY Brockport; Virginia Tech University; University of Southern Mississippi; University of Nevada Las Vegas; Binghamton University (SUNY); University of Texas, Brownsville; University of Louisiana, Lafayette; The College of the Holy Cross, Massachusetts; Stillman College in Tuscaloosa; Texas A&M University-Commerce; and University of Alaska, Anchorage. Dr. Houghtaling is the founder and artistic director of the Druid City Opera Workshop, a week-long young artist training intensive held at UA. In addition, in January 2010, 2011, and 2012, Houghtaling and several student members of the UA Opera Theatre represented UA as finalists in the National Opera Association’s Collegiate Opera Scenes Competition at that organization’s national conventions in Atlanta, San Antonio, and Memphis. The ensemble placed second and third in 2011 and captured third place again in 2012. He holds degrees from the College of the Holy Cross, Worcester, MA (B.A. ), The New England Conservatory of Music in Boston (B.M. ), Hunter College (M.A. ), and the City University of New York (D.M.A.). His students are performing with young artist programs and opera and musical theater companies across the country and are frequent finalists and winners at state and regional competitions including MTNA, NATS, National Federation of Music Clubs, and Birmingham Music Club Guild. In 2012 his studio captured a near-record number of first place wins at the Alabama state NATS competition in Huntsville in a variety of classical and musical theater categories. His current professional affiliations include the National Opera Association (NOA, Current President), Music Teacher’s National Association (MTNA), Alabama Music Teacher’s Association (AMTA, Executive Board, State Auditions Coordinator), and the College Music Society (CMS). He also serves on the Executive Board of the Montgomery Symphony’s Vann Vocal Institute. Next season, Mr. Houghtaling will return to Mississippi Opera as both stage director and Jack Point in The Yeomen of the Guard, and to Red River Lyric Opera in Texas as director for H.M.S. Pinafore. The 2017-2018 season included the Major General, also with Mississippi Opera. In 2016-2017, Mr. Houghtaling returned to Mobile Opera to direct Douglas Moore’s The Devil and Daniel Webster, sang Ko-Ko for Mississippi Opera, made his role and company debut as Dulcama in L’elisir d’Amore for Opera Birmingham, performed recitals in Montreal and Mexico City, and directed Alcina for Red River Lyric Opera. The previous season included several performances of Dichterliebe throughout the U.S., including at Bucknell University in Pennsylvania and Hunter College in New York, as well as Messiah with the Blacksburg Chorale in Virginia. 2014-2015 brought appearances with the Helena Symphony in Montana and a return to the Natchez Festival of Music. The 2013-2014 season included a return to Virginia’s Opera on the James as stage director for Puccini’s Gianni Schicchi and Suor Angelica and to Natchez Opera as stage director for H.M.S. Pinafore. The 2012-2013 season included a debut with Opera on the James in Virginia as stage director for the company’s Paris-themed opera cabaret, soloist on Mississippi Opera’s Opera Underground series, and recitals on the Saratoga Arts Festival at Skidmore College and University of Texas at Brownsville. Engagements in the 2011-2012 season included a return to the Alabama Symphony as soloist in the Faurè Requiem, “Let’s Fall in Love” with the Tuscaloosa Symphony, a recital and residency at the University of Nevada, Las Vegas, stage director for Hubbard Hall Opera Theater’s production of Die Zauberflöte in upstate New York, and Ko-Ko in The Mikado in a return to the Natchez Opera Festival in Mississippi. The 2010-2011 season brought a return to Carnegie Hall with the Cecilia Chorus and Orchestra for Bach’s Christmas Oratorio, of which the New York Times reported “Paul Houghtaling supported his strong bass-baritone with an appealing interpretive sensibility,” stage director for Mobile Opera’s production of Candide with Andy Anderson conducting, and his debut with the Alabama Symphony as soloist in the Duruflè Requiem. Other notable opera and operetta engagements include highly lauded performances with the Central City Opera as the comic lead in Friml’s Rose-Marie, the title role in Don Pasquale for Tacoma Opera, the Major General with Knoxville, Anchorage and Central City Operas. He has also appeared with the Boston Lyric, Baltimore, Natchez, Des Moines, Long Beach Civic Light, Nashville, Santa Fe, and Tacoma Operas, the Metropolitan Opera Guild, Opera East Texas and L’Opera Francais de New York under Yves Abel. Additional stage directing credits include Telemann’s Der Schulmeister for both the Long Island Baroque Ensemble and Anchorage Opera’s “Second Stage” series, Shall We Dance: Great Duets from Broadway for the Abilene Philharmonic under Shinik Hahm, and Café d’Amour, a new musical-theater/dance work for the Alaska Dance Theater. Productions at Alabama have included The Consul, The Merry Widow, Pagliacci, Suor Angelica, the Alabama premiere of Dan Shore’s The Beautiful Bridegroom, the world premiere of Amir Zaheri’s The Raven’s Revenge, Hoiby’s Bob Apetit!, Heggie’s At the Statue of Venus, The Gondoliers, The Mikado, Così fan tutte, Patience, A Little Night Music, Street Scene, and Don Giovanni. The 2016-2017 season includes the world premiere of Amir Zaheri’s Freedom and Fire! A Civil War Story, Amahl and the Night Visitors, and The Merry Wives of Windsor. Professor Houghtaling is a frequent studio artist with Philip Glass and Looking Glass Studios in New York and can be heard as a featured vocalist on Glass’s soundtrack to Reggio’s film Naqoyqatsi on the SONY label, and as the Laughing Sun and the Ogre in the Glass/Beni Montresor collaboration, The Witches of Venice, recorded for Euphorbia. Earning considerable attention for his work in contemporary music, especially for his performances of Davies’ Eight Songs for a Mad King, Mr. Houghtaling has performed with Gunther Schuller, the Virgil Thomson Foundation, and ALEA III, both in the U.S. and on the Kalamata and Iraklion Festivals in Greece in new theater works for Greek National Television. Other notable projects include John Cage’s Apartment House 1776 during the composer’s 1988 Norton Lectures at Harvard, George Crumb’s Songs, Drones & Refrains of Death with ALEA III, and Davies’ Le Jongleur de Notre Dame with the Dinosaur Annex Ensemble in Boston. In addition to works by Philip Glass, Mr. Houghtaling has created roles in numerous new theater and opera works including Lee Hoiby’s The Tempest with Des Moines Metro Opera and the title role in William Harper’s El Greco for the Off-Broadway Intar Theater. Dr. Houghtaling has appeared with the Boston Early Music Festival, Clarion Music, Early Music New York (U.S. tours), the Waverly Consort, and the Mark Morris Dance Company production of Dido & Aeneas. Additional engagements include concerts at the Cloisters of the Metropolitan Museum of Art in New York with My Lord Chamberlain’s Consort (of which he was a founding member), debuts with the Folger Consort in Washington, D.C., in programs of Spanish Renaissance music, the Billings Symphony in Messiah under Uri Barnea, and the New York Chamber Symphony under Martin Turnovsky, and the rarely-heard Shostakovich Symphony No. 14 with the Manhattan Virtuosi Chamber Symphony. Dr. Houghtaling has performed more than 70 Bach Cantatas and other Baroque works with such ensembles as the Bach Societies of Miami and Worcester, American Classical Orchestra, Boston Baroque, New York’s BachWorks at Merkin Hall, Long Island Baroque, the Bach Aria Festival and Institute, and the renowned Holy Trinity Bach Foundation series, also in New York. He has recorded for the Albany, New World, EMI, Euphorbia, Balkanton, and Prospect Classics labels.